At Hines Little Smiles, our goal is to be one of the best pediatric dental offices in Columbus, OH. No matter the month or the season we want to make sure that our patients are aware of the best ways to keep their oral hygiene consistent and taken care of. While we are concerned with our patients’ oral health care every day of the year, April is of particular note to us in the pediatric dentistry community as it is Oral Health Awareness Month. This makes April a great time for us at Hines Little Smiles to remind you of the importance of good oral health practices and how to make sure you are keeping yourself, and your children, safe and healthy. We pride ourselves on being there to educate the community on good oral health practices and how to incorporate smart choices into you and your families’ daily routines. Part of Oral Health Awareness Month is awareness and education about oral cancer. Oral cancer can be a dangerous disease that can cause serious harm and even death to individuals. But, luckily, it is a very preventable cancer. The best way to prevent and treat oral cancer is by catching it early. This is done through regular visits to your dentist. Oral health care is particularly important to teach to children at a young age, so they can get in the habit of making oral health care a part of their lives. We encourage children, teens, and adults to make a visit to the dentist once every six months. During these checkups and exams, the team at Hines Little Smiles will make sure oral hygiene is in order and screen for any bigger problems. Of course, it is important to incorporate daily routines that keep oral hygiene a regular part of your life. It’s also essential to teach your children these things. Replace toothbrushes every 3-4 months. Also, if you notice anything strange related to your child’s oral health or if they are complaining about pain, schedule an appointment with us to ensure that everything is in order. 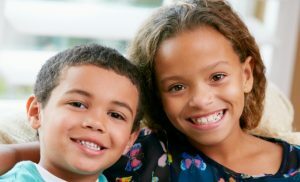 As an engaged provider of pediatric dentistry in Columbus, Ohio, we are here to help our patients learn about the importance of oral health practices and help you get the best care possible for your family. We are friendly and professional and here to answer any questions you have about oral hygiene for your and your family.